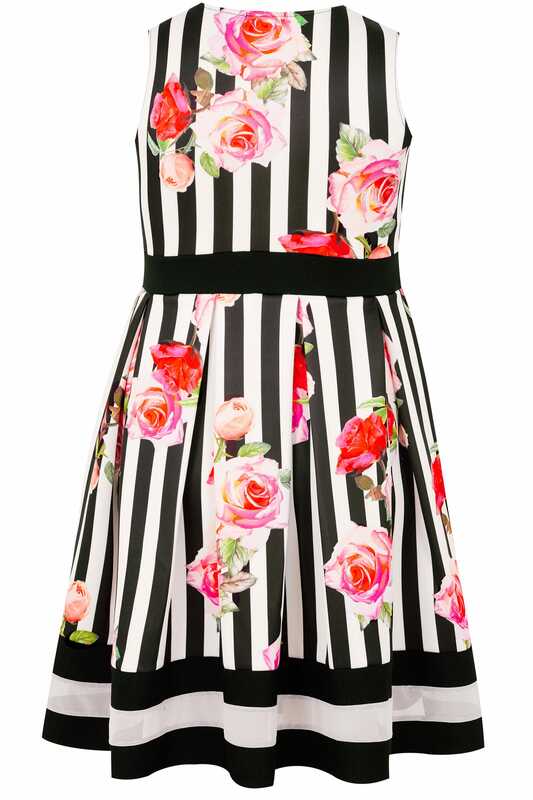 Update your party line-up with this stunning dress. Cut to a knee length, its shape flattering skater style features a notch neckline, a seamed waist and a pleated skirt with a mesh hem. Team with high sandals and a clutch for after-dark appeal. 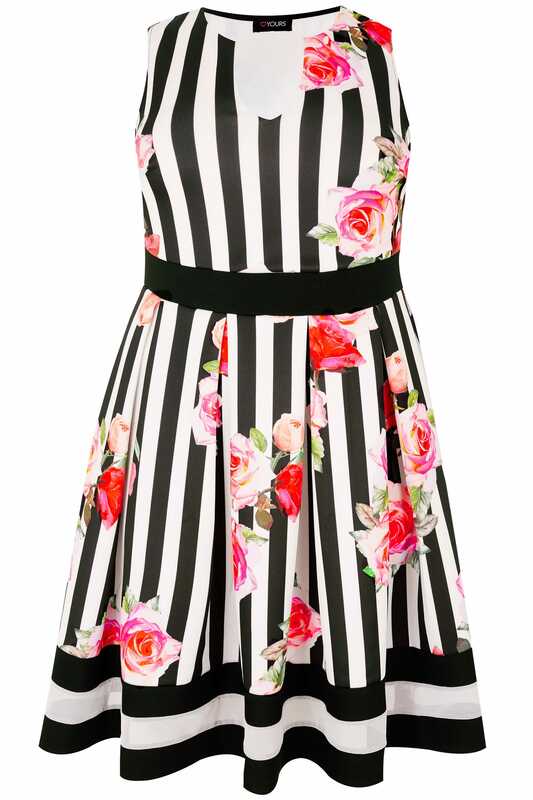 We love the monochrome stripes with a contrasting floral print.